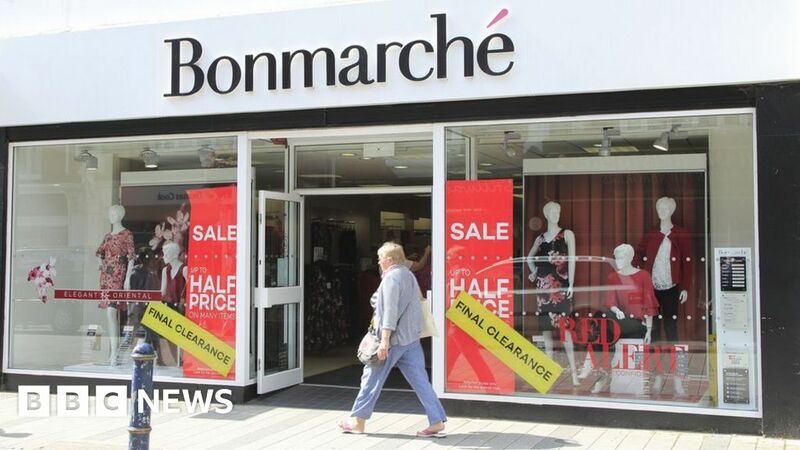 Shares in womenswear chain Bonmarché have dived 20% after it warned profits would fall short of expectations due to weak consumer demand and warm weather. It said that online sales had grown strongly in the second quarter of the year, but sales in stores had not kept up the pace of the first quarter. Full-year profits are now expected to be £5.5m, down from £8m last year. The Wakefield-based chain has more than 300 stores and a membership of 1.7 million for its loyalty scheme. Several retailers are struggling in the current trading environment, and several well-known chains have closed stores and sought a financial restructuring to survive. Department store group House of Fraser was bought by Sports Direct after running into difficulties, and earlier this month Debenhams rushed out a statement to try to reassure investors over its finances. Last week. menswear chain Moss Bros issued a profit warning, also citing the summer’s hot weather as a factor for poor trading. However, not all retailers are in trouble. Earlier this week, fashion chain Next reported better-than-expected sales. It had given an upbeat trading statement in July, in which it said trading had been “significantly better” than in the previous quarter, but trading since then has deteriorated. However, she added that despite the “challenging market, the health of the business remains strong”. Bonmarché, established in 1982, describes itself as “one of the UK’s largest women’s value retailers”.